Jersey City’s downtown shopping district has long fallen short of expectations. For years, Newark Avenue looked like a set piece from the yet to be filmed Escape From Jersey City. 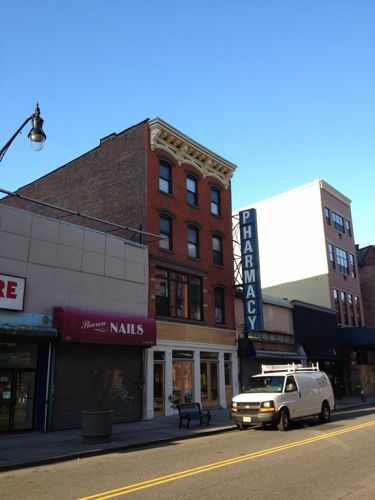 Two obstacles face the rehabilitation of Jersey City’s retail sector. One, Newport Mall has suckled money away from neighborhoods although this also means independent businesses are not competing with major national retailers for prime locations. Second, retail pockets are scattered across the downtown and lack a centralized collection of stores and restaurants. The city has long hoped to create a unifying central business district centered around Newark Avenue linking retail on Grove Street, Jersey Avenue and the surrounding blocks. The city created a restaurant row legislation designed to encourage more restaurants along Newark Avenue. 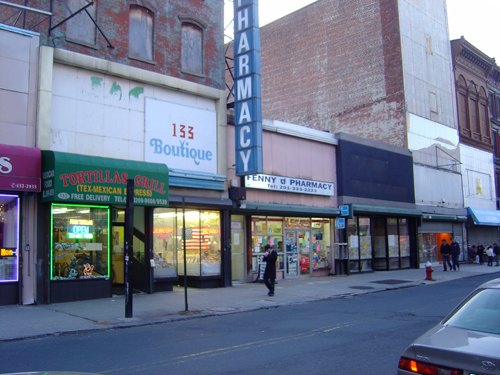 Still, many of Newark Avenue’s storefronts remained dilapidated blights, particularly along the south side of the street. However, the east segment of Newark Avenue between Grove Street and Barrow / Erie Street has over the last few months seen dramatic changes. Several buildings are currently being renovated while new shops are opening. Newark Avenue may have hit its low point in 2007. A fire damaged two vacant buildings and destroyed a third between them. Not only were the buildings historic but also offered the promise architecturally significant structures if they were ever renovated. Since then however, one of the buildings are finally being renovated. 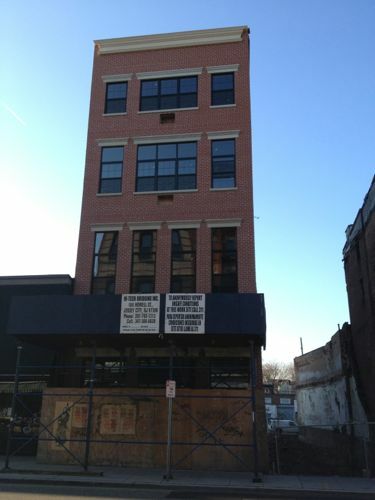 Below, 141 139 Newark Avenue with new windows and a storefront under construction. 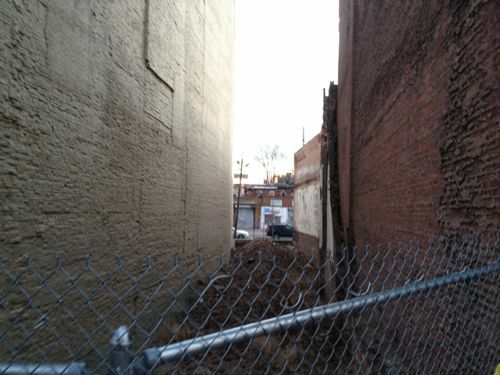 The plywood facade was removed and new brick installed. 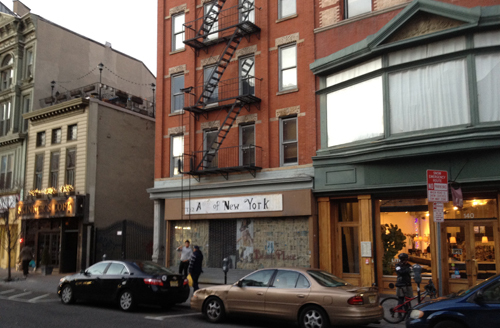 A gap between 141 and 145 Newark Avenue remains where the historic storefront once stood. Some city officials had suggested converting the vacant lot into a pedestrian walkway between Columbus Drive and Newark Avenue. However, any plan would require financial backing and purchasing the property. New stores have been opening up as well. 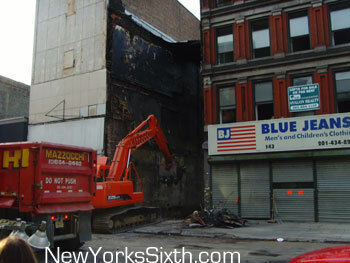 Along the north side of Newark Avenue where shops, restaurants and bars have been in place for a number of years. Urban pioneer LITM has long been an anchor on this side of the street later joined by Skinner’s loft. Other more mundane but necessary stores have occupied the street too, like Synergy Gym and Tender Shoots grocery. 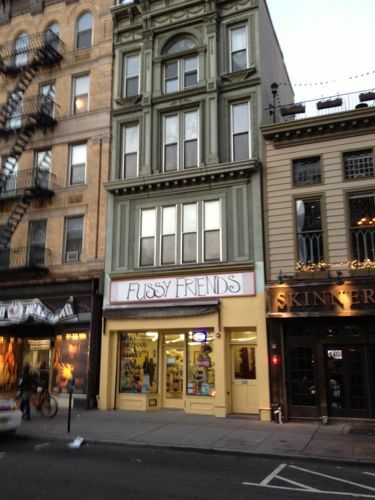 However, Fussy Friends, a pet supply store, recently opened in the home of an old nail salon. The new store might suggest a shift in the kind of retail appearing along Newark Avenue (a K9dergarten pet shop and doggie daycare has also opened further west). Long time store Milano Furniture closed last year on the corner of Newark and Erie Street. The store fronted along both streets in a large retail space. 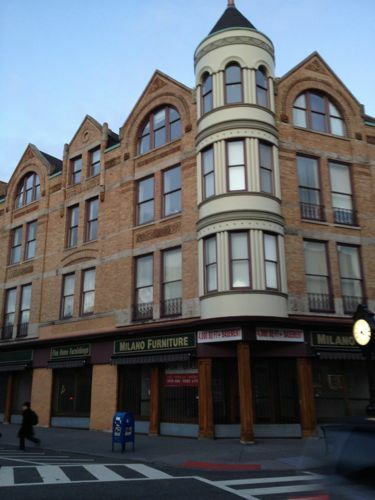 This prime retail location however, has since been converted to office space in a surprising move. Internal walls have divided the large space. A renovated Newark Avenue will help retail across the downtown. New shops will ideally bring in customers from outside the area. Recent changes to entertainment laws allowing live music could also spur a greater expansion of bars catering to local and regional bands. A look at more western sections of Newark Avenue will continue next week.